Some castles are worth the tour in Italy regardless of their history or remaining construction. Indeed, some castles can even serve as hotels for tourists. However, there are those that are too dangerous for stay-in preservation and are regarded ruined or abandoned. Apart from being preserved good homes, It’s also worth it to scour through ruins of Italy’s kingdoms that modern-day people may have already forgotten. Though ruined, the castles still represent the rich history of Italy. Touring the sites will provide you means of recovering even the tiniest proofs of Italy’s royalty living. Castello Sforzesco in Milan, one of the city’s main attractions today. This is a historic castle that is located in Milan. The castle was built by the Dukes of Milan and was named after Sforza Dukes, a noble of that time. Similar to other castles that were ruined, there were various times that this property was demolished, restored, and rebuilt. In time, the Italian family who first inhabited the castle passed the ownership to Austrian, French, and Spanish nobles. There was also a time that the castle was almost destroyed again by the rebels in Milan. However, the time following the Italian unification somehow protected the castle from being in ruins again. 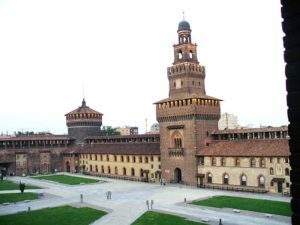 At present, Castello Sforzesco is among the top tourist spots in Italy. It also houses permanent exhibits portraying Renaissance and ancient art. You will find the ruins of this castle in Chianti’s Greve, the center of Chianti Classico, which is simply 5 km from Greve and 18 km from Florence. The name of the castle was derived from the Italian word “Vecchio”, the equivalent of a village in English. Originally, the castle was called Vecchio Lombardi given that it is owned by the family. At present, you will only find the remains of its towers and walls. The name Vicchio Maggio was bestowed to the place when it became a villa with a garden in the 16th century. During the time when it was still solidly towering, Castello di Vicchiomaggio was able to host exhibits of Leonardo da Vinci and other famous artists. It was also one of the castles where da Vinci stayed while painting Monna Lisa, a worldwide artwork. This is now a magnificent yet abandoned castle in Tuscany. Though not materially destroyed, it was undervalued in such a way that its history was pretermitted. You could find the castle 25 km from Florence following a southeast direction. Many consider this castle as a representation of Italy’s Moorish art. Inside the castle are 365 rooms that individually represents each day of the Roman calendar’s year. In 1605, Ferdinando Odoardo Ximenes d’Aragona developed the castle giving Castello di Sammezzano a very rich history. Although the given year is believed to be the period when the castle was built, experts believed it existed earlier. One proof is Charlemagne, who stayed at the castle in 780 AD following the Pope’s baptism. Since then, the castle has been owned by various noble families, including the Medicis and the Altovitis. Some redesigning and restructuring of the castle was done in 1853 and 1889 by Ferdinando Panciatichi Ximenes D’Aragona. Many considered that the history of the castle was abandoned and neglected. It has been closed since the 1990s and even the plans of reconstructing it as a luxurious hotel were not carried out. 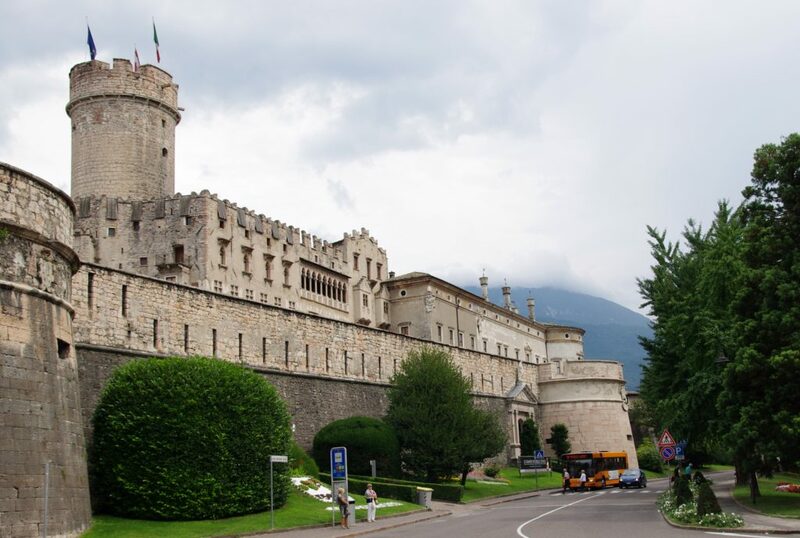 This castle is found within Trento city in the region of Trentino. Previously, this was just a severed construction looming over the city. Many consider this castle a representation of Prince Bishops power until 1803. As time passed, it was expanded and redesigned to enhance its construction. The Castelvecchio is the oldest part of the castle and the Augustus Tower remains in the said area alongside other ruins of the ancient castle. You can find this castle in Fiesole. Records show that the prominent property was first mentioned in 1031. The first owners of the castle, according to the registers, are the Alessandro and Vinsdomini families. Throughout an 800-year period, the castle was gambled and passed on to noble families in Florence. It was then destroyed until John Temple Leader, a younger English Lord, noticed the castle in 1840. Lead since then decided to buy the castle. He hired prominent painters, artisans, glaziers, and masons to enhance the castle and bring back its beauty following the old trend. This is a castle of Frederick II in Trani. The excellent property was built in 1240. Unlike other castles, it mixes furnishings and interior decors from Arab, classical, and medieval arts. Although destroyed in the past, it was carefully restored and even declared a world heritage site. What made it unique is its probable alchemy and occult symbolism provided its octagon construction. Though Italy castles are not all completely preserved in their original structures, their value has not been completely spoiled. Visiting the castles can still represent the colorful history of Italy. Locals in the country have done it well in supporting their old sports for other people to see. Experience Royalty: Castles to Stay in Italy!